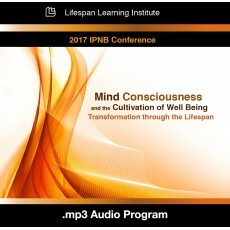 Consciousness is fundamental to human change processes, and in this immersive experience you will learn about the art and science of cultivating the kinds of conscious experiences that promote wellbeing, cultivate resilience, foster integrative neurological growth, raise telomerase levels to maintain and repair the ends of chromosomes, optimize epigenetic regulators to decrease inflammatory diseases, and improve other physiological measures of medical health. These states of consciousness also are essential for relational health, equanimity and neural integration. Both presentations and experiential immersions focus on what the mind is and how to cultivate a healthy mind. One aspect of mental life is the process of being aware, the ways we know and have a sense of the known within our subjective experience of being alive. When we combine a deep view of consciousness with emerging findings from the study of the social brain, we will see that clinical work to promote mental health can be greatly enhanced with these new insights and practical applications. Mind includes consciousness and information processing, as well as a regulatory function called “self-organization.” This emergent, self-organizing process of the mind is both embodied—it is within our bodies including our brains—and in our relationships with others. How consciousness itself may relate to this self-organizing function will be explored in depth and clinically relevant information and practices will be offered to cultivate a healthy mind. Discuss the relationships between and employ the 4 training modalities (Love, Compassion, Equanimity & Inner Well-being) of the Buddhist Psychology map. Outline 4 integrative aspects of Mindfulness Based Stress Reduction, and their direct implications for clinical practice. Plan an approach to working with traumatized clients, incorporating five tools that clinicians can apply therapeutically. Define the acronym SAFE and the role the practice of it plays in deconditioning the depression loop. List the 4 questions that can install positive beliefs in even the most stuck clients. Identify 3 brain structures associated with self-referential processing. Explain the relationship between telomere shortening and healthspan. Recognize 4 risk factors for age-related cognitive decline. Identify 3 core elements of mindfulness. State 3 goals of mindfulness research. Discuss the neurophysiological underpinnings of therapeutic presence. Discuss the unifying framework for understanding and integrating interdisciplinary concepts. Outline 3 aspects of quantum physics that may be relevant for the practice of psychotherapy. State 3 common elements between psychoanalysis and quantum physics. Discuss how humans connect to the cosmos and its role in Mindfulness based therapy. The Lifespan Learning Institute designates this live activity for a maximum of 17 AMA PRA Category 1 Credit(s)™. Physicians should claim only the credit commensurate with the extent of their participation in the activity. This credit may also be applied to the CMA Certification in Continuing Medical Education.